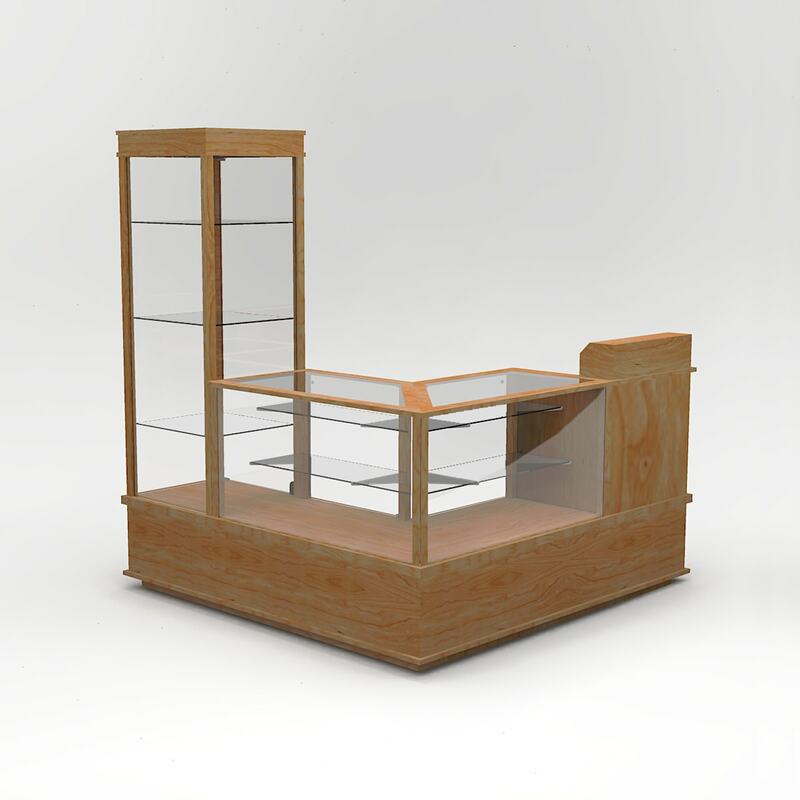 We have developed some display cases and store fixtures for Gun Stores. This Gondola Grouping is great for displaying gun accessories. With aluminum inserts they can hold the weight of a lot of product. 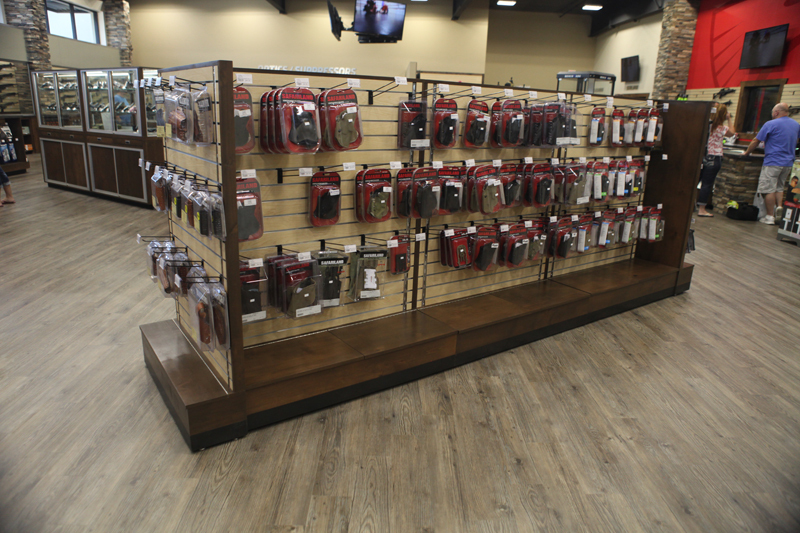 We are constantly developing new displays for the Gun Store industry. Coming soon is a Category on our website specifically to highlight gun displays and store fixtures. 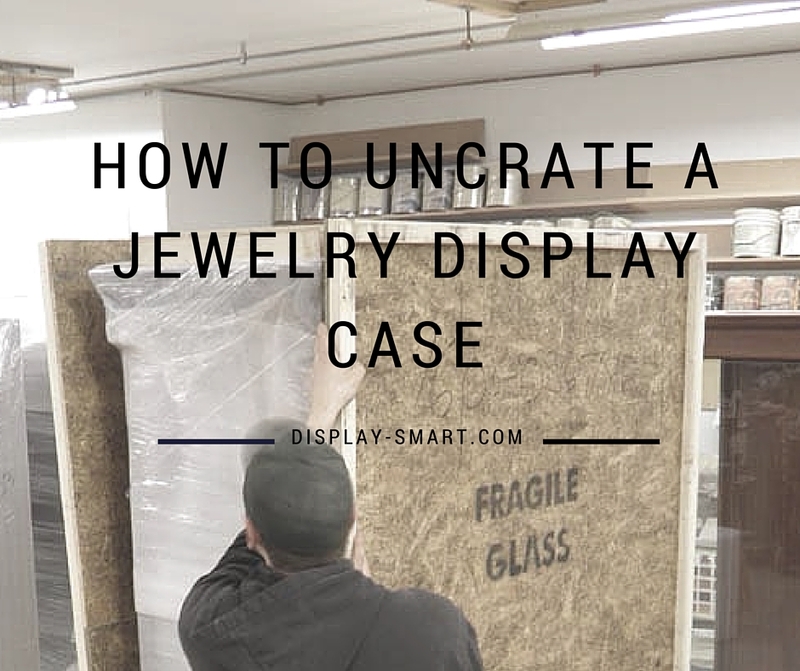 We have several Pre-Designed displays but can also custom design display cases and store fixtures for the look you want. Below are the specifications of the Gondola Grouping shown above in Veneer and Hardwood with a stained or lacquered finish. 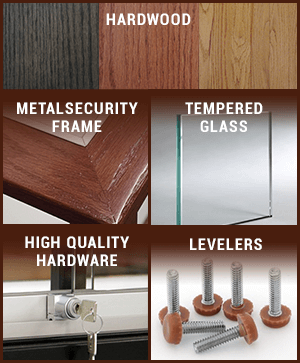 We offer the same grouping in MDF Melamine in standard melamine colors. Finish: Stain + Clear Coat. 2 Slotted standard on each end cap with Maple Melamine slatwall backs. We can build one display and up to a full store. We want to be your display supplier. 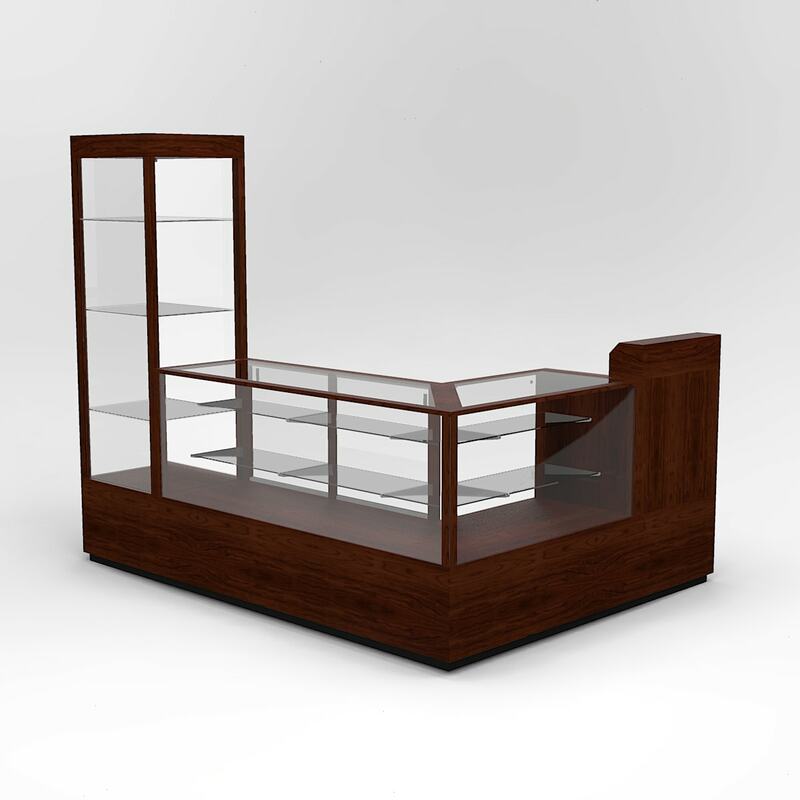 Our goal is to make purchasing displays for your store as easy as possible. Check out our customer reviews and you will see we live up to our reputation of working hard for you. 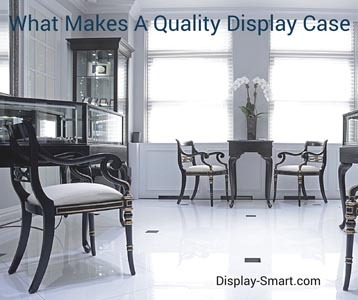 Give us a call at 800.843.1870 or email us at display@display-smart.com. We are interestes in getting pricing for gondolas for our new showroom. We are getting ready to order from another company, but want to. Check your pricing and optioms first. Hello Heidi! Thanks for reaching out! We’ll give you a call and/or email to get any specifics from you. 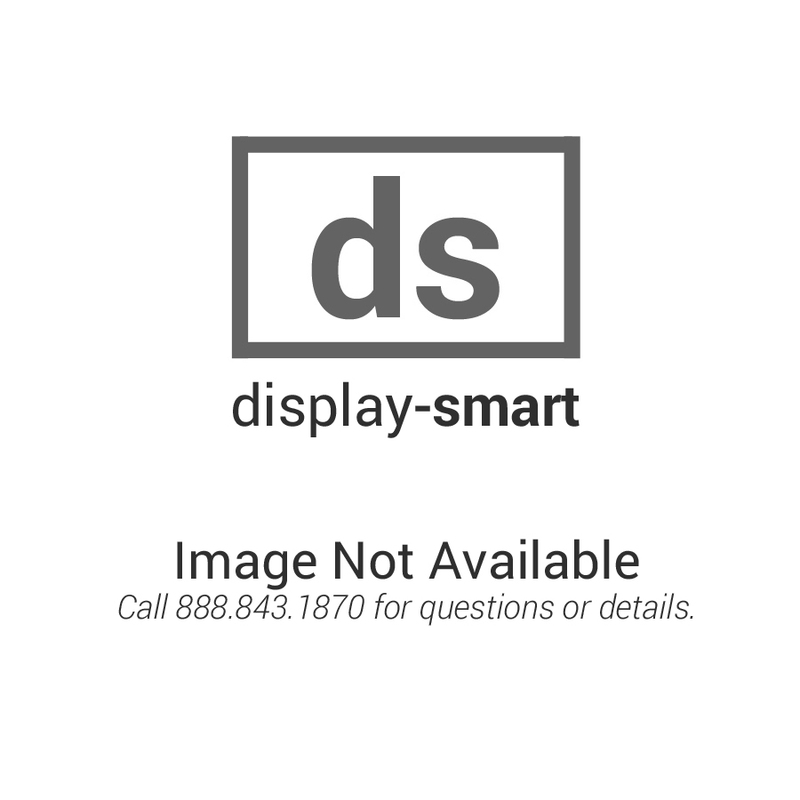 In the meantime, here is the link to this product, shown in the images of this post, in its standard sizes: http://display-smart.com/gondola-gun-display-case.html. Feel free to configure it as you’d like and click “Request A Quote”. Otherwise we can do it over phone or email (display@display-smart.com or 1-785-843-1869). Hope to talk soon!